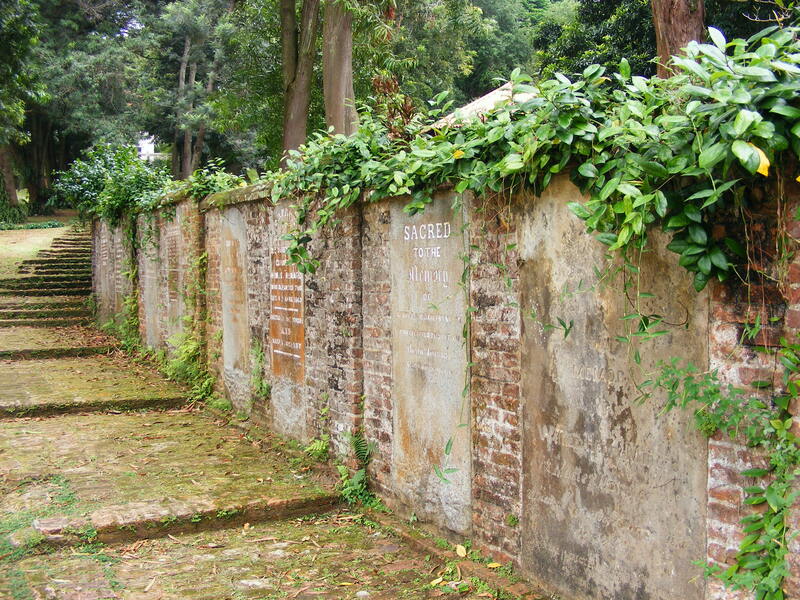 The Old Christian Cemetery isn’t strictly off the beaten track as it’s in Fort Canning Park. If you’ve been to a concert or a play at Fort Canning Park then you’ve visited the Old Christian Cemetery, as it’s now called Fort Canning Green. Interestingly, I canonly find references to the gravestones and memorials being removed and none that indicate the graves themselves were exhumed. Something to think about when you’re dancing along to Rick Astley at Retrolicious! I visited the Cemetery on a weekday morning during a freaky bout of cool, breezy and low humidity weather and enjoyed a leisurely stroll around the wall. The inscriptions on the headstones look like they have been touched up at some stage and I’m not sure about whether this will help to preserve them or not. 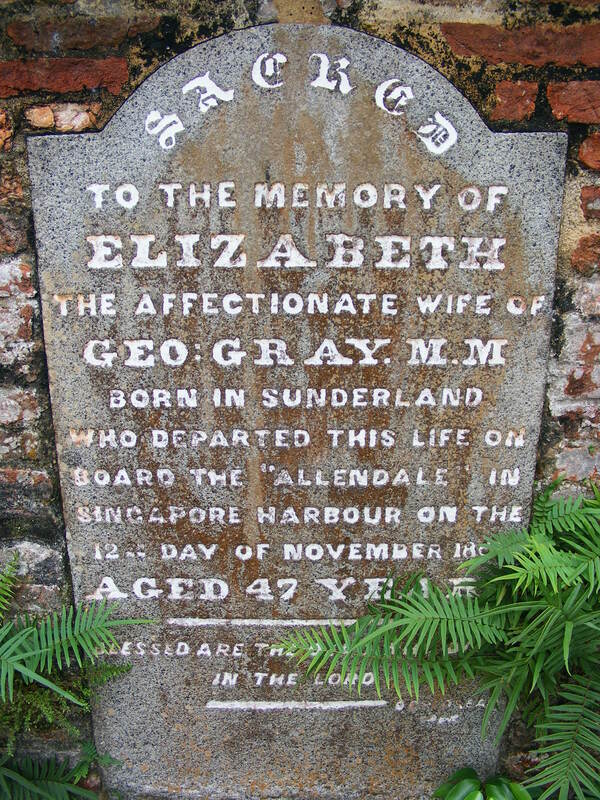 A you’d expect in Singapore the deceased cover a varied number of nationalities and it seems that a large proportion died at sea, with many monumnets erected by their fellow sailors. The inscriptions are brief and most seem far younger than I expected. Although life expectancy was shorter in the nineteenth century than it is today I assume that it was even shorter for Europeans who recently arrived in Singapore and were being newly exposed to tropical diseases. 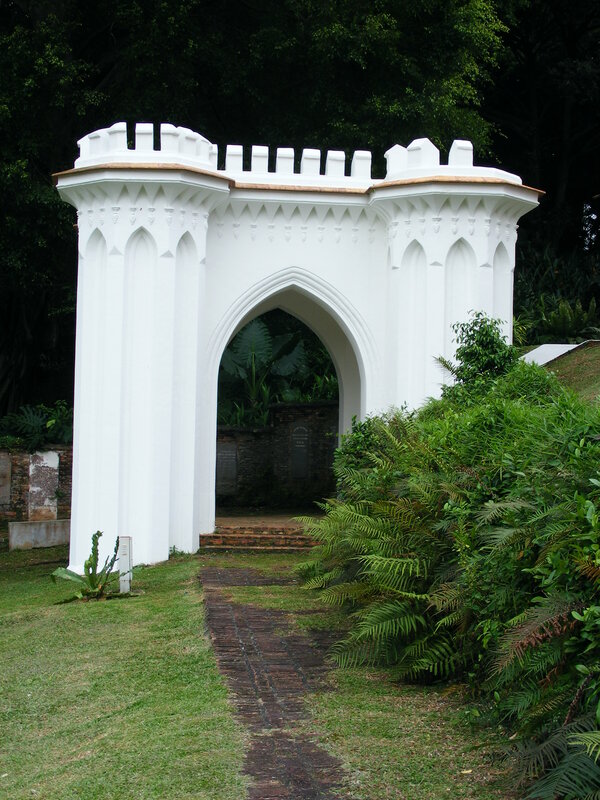 In the top left corner as you’re looking at the Fort Canning Centre there’s a large monument to James Brooke Napier, the infant son of Willam Napier and Maria Frances Napier. Nearby are two cupolas which were designed by G.D. Coleman, who was the first husband of Maria Frances Napier, was Singapore’s first architect and was buried within the cemetery. At the bottom end of the green (at the rear of the National Museum of Singapore) there’s a collection of 12 tombstones. I have no idea if this was where they were originally placed, although I suspect that they were moved here when the cemetery was cleared. Again, the deceased are from a variety of countries originally and the inscriptions reflect this given the different languages they are written in. The tombs also serve as a reminder of the changing attitudes to both death and monuments since the nineteenth century. 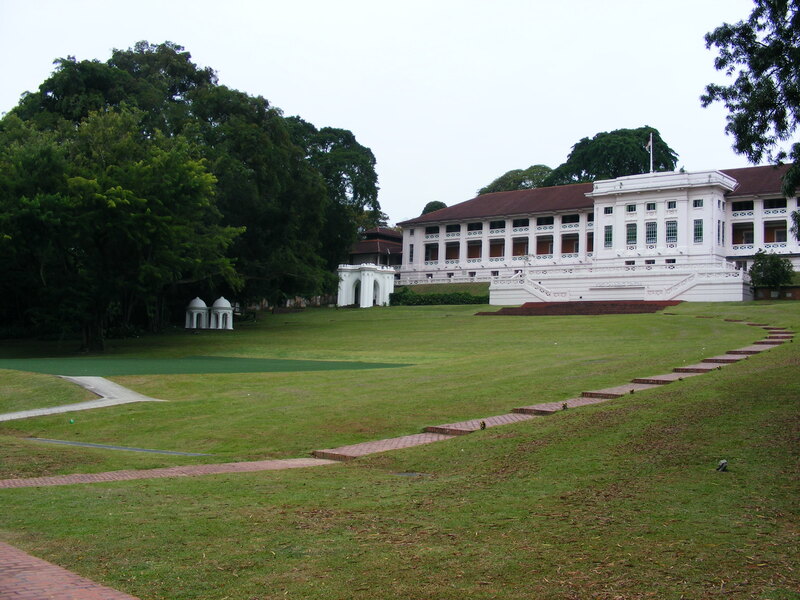 Fort Canning Green (a.k.a. 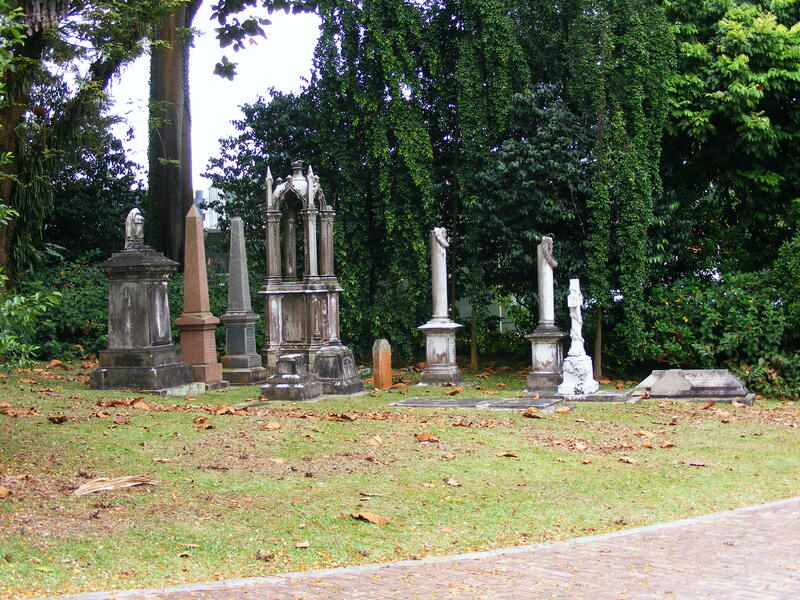 The Old Christian Cemetery) is in Fort Canning Park. Entry to the green is via either of the Gothic Gates on Canning Rise. Entry is free. This entry was posted in Cemeteries, Off The Beaten Track, Singapore by KJ. Bookmark the permalink. The 12 tombstone seemed to have be moved there when the Kampong Java Christian Cemetery was exhumed in the late 1960/1970. Location of the Kampong Java Cemetery is the present day Women Hospital.